In 2005, USP 797 will require (these are regulations, not guidelines) a cleaner environment for health care institutions, pharmacies, physicians practice facilities and other facilities where compounded sterile preparations are prepared, stored and dispensed. NCI can assist you by providing the components and equipment that will assure your compliance with these regulations. Currently, compounding is required to be done entirely with ISO Class 5 (Class 100) or better air quality. Facilities currently doing such compounding have such equipment, however, if you do not have a unit, please see our CAP 301 "Horizontal Flow Clean Bench" listed below. NCI will be happy to give you the expert information needed to provide your facility the right equipment. This, however, is not all that is required under the new USP 797 regulation. A cleaner environment is needed. There are two avenues that can be taken to accomplish this. 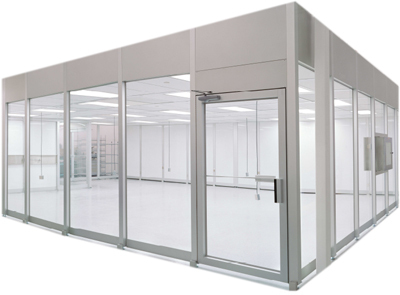 Please see our Cleanroom Information page for suggestions or Contact NCI for Information to fit Your Cleanroom Specifications! More information on the USP's Latest Standards Updates can be found at www.usp.org.